Repair Café is supported by our volunteer Fixers who enjoy repairing household items while helping visitors learn the how-to. Our Fixer team has been growing steadily since our launch in 2013. Some of them are professionals while many others are hobbyists. They have diverse backgrounds and each of them has a unique story. Through their profiles, you will learn a little bit about their backgrounds, their volunteering experiences as well as their thoughts about the Repair Café. Below are the first six profiles. Enjoy. What kind of items do you fix? Mostly appliances, electrical appliances. Things I don’t like are impossible to open or close again. When did you start volunteering with Repair Café Toronto? Close to 3 years now. I am a lucky retired person. During my career, I worked with Nortel Telecom, I then started a consulting business mostly in project management. I did it for about 12 years and then I finally decided to retire. Do you have a favourite location for a Repair Café? No. I like locations where there are a lot of people. Some places are more organized than others due to the environment in which you work. But I really enjoy either the mini café, full café, anything as long as it’s good. The most important thing at Repair Café is not about repair, but rather meeting the people who bring the things to be repaired. Why did you start get interested in repairing things? To the despair of my parents, since I was 6 years old I used to take things apart. I had an uncle who owned a hardware store. So as a teenager, I worked in the summertime at the hardware store and I learned a lot [there]. I always like to fix things. I did that in my household and for friends and now I’m doing it as a volunteer for the Repair Café. Mostly by doing it. When I first started to work professionally, my work consisted of building machines that would be testing other machines. So you have to develop the thinking [process] about how to make something work in order to test something else. My training is mostly to analyze and then make it happen, make it real. 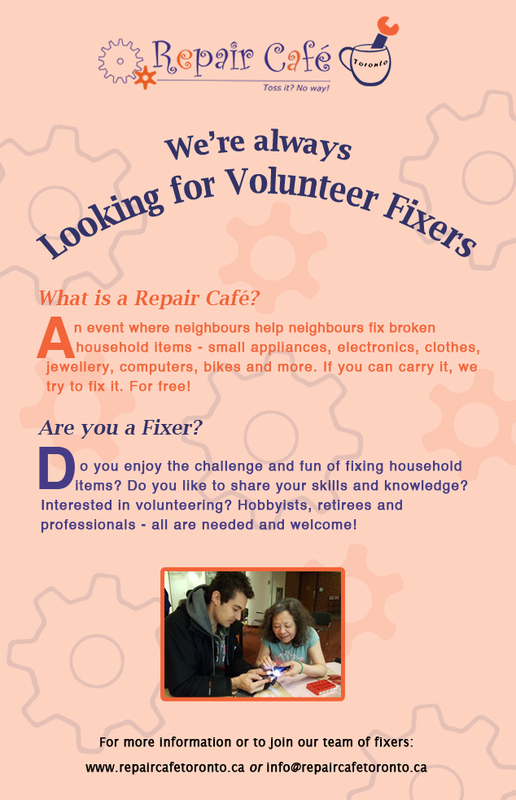 What does it mean for you to volunteer at the Repair Café Toronto? First of all, it’s a lot of fun, in terms of the people and the relationships. People who bring things to be repaired hope that you’ll be able to fix it. It’s also preventing stuff from going into the junkyard. It’s a matter of reusing something rather than getting rid of it. What was the most memorable item you fixed? I think it’s one of the first ones [I fixed]. A young woman brought a little carousel. It was a wedding gift from China and it had stopped working. I couldn’t figure out at first what made the carousel work. I finally realized what made it to work, that is, it needed light. She had replaced the lightbulb with another lightbulb. The photocell was not getting enough light to get the carousel to turn around. By the time we got all this figured out and got the carousel working again, she was super happy. 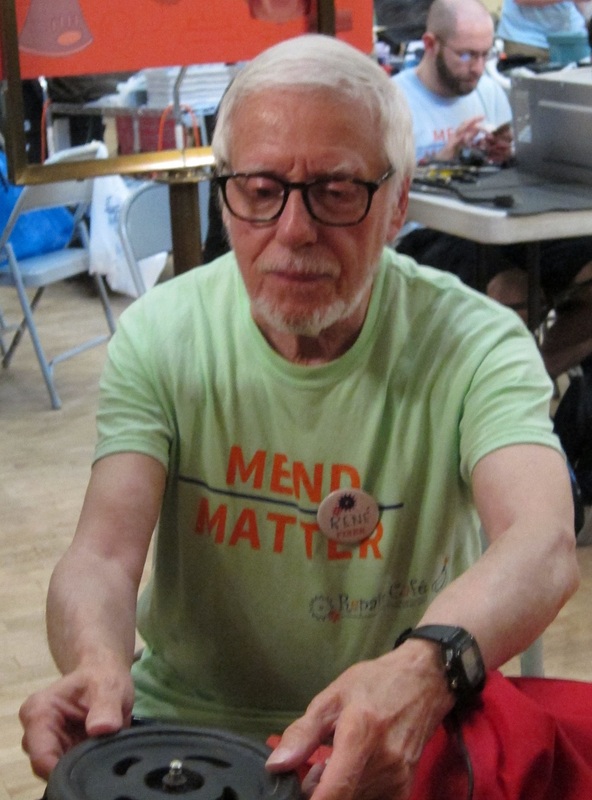 Why should people get involved with Repair Café Toronto? It’s a great initiative. It started in Europe and now it’s all over North America. I think that Repair Café Toronto is extremely well-organized. You can tell from the support structure that we have. We can make a big difference in the community where we have Repair Cafés. Where do you see Repair Café Toronto in 5 years? I see Repair Café Toronto maybe going to have a permanent location while still going around the city. But having kind of a base where in one location you have a repair café that comes up every month. As well, there maybe greater specialization for special electronics. I think that electronics are becoming virtually everywhere, even though it is sometimes impossible to repair. That’s where the focus could be. I think that it would also be important to have young people getting more involved and brining young people on as helpers. Last time I had a young fellow, the son of a friend of ours and he did repair a vacuum cleaner. Trying to train younger people to be involved in repairing things would be a big focus to have for Repair Café. Household electronics; stereos, appliances etc. When did you first start volunteering with Repair Café Toronto? Why did you start getting interested in repairing things? My mother saw a poster for the first Repair Café. It sounded fun and I liked taking things apart. I’ve been volunteering ever since. 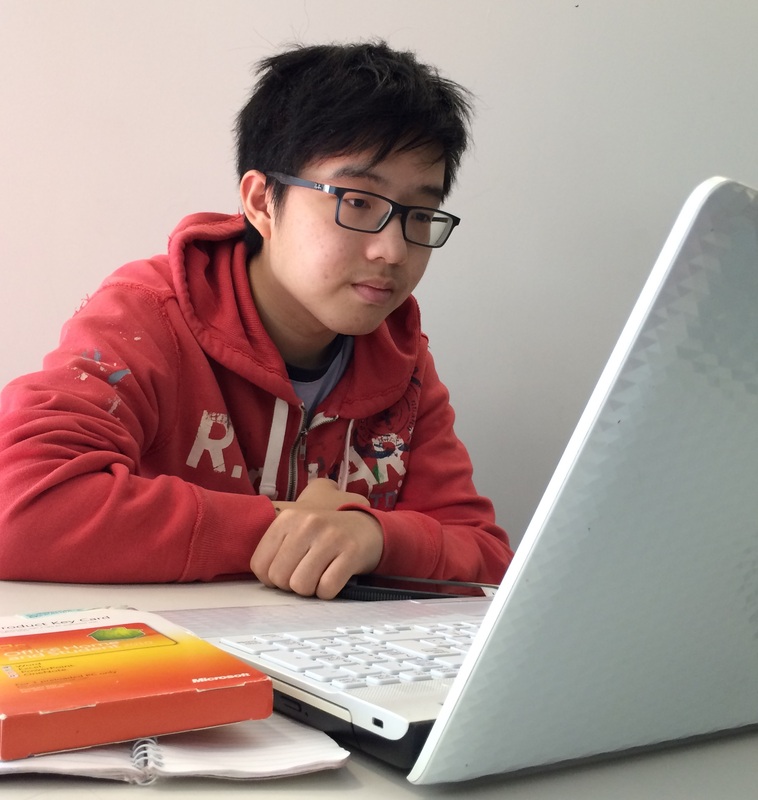 In high school I did math and science, and did engineering at university. 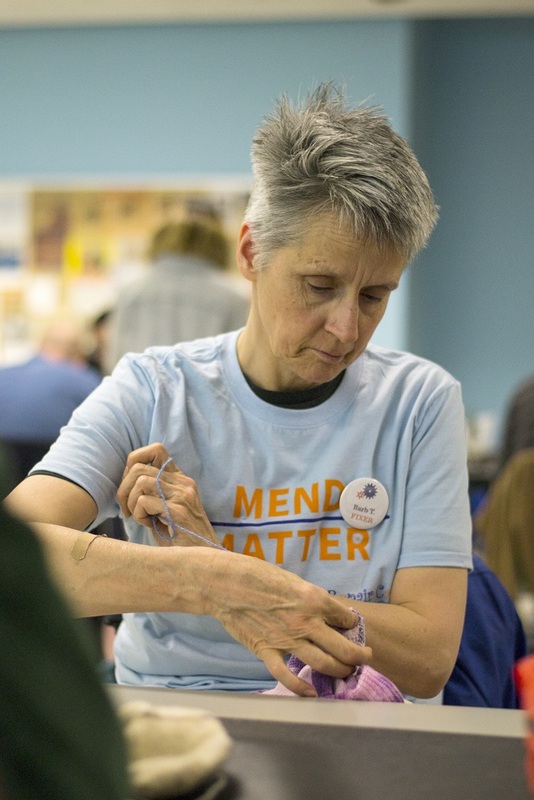 What does it mean to you to volunteer at Repair Café Toronto? It’s a fun thing to do. I help people fix their things and they are very happy when I do. What is the most memorable item you have fixed? It’s hard to say. I see many of the same things over and over, maybe a DVD player and recorder. I opened it up and replaced all the components and he was so happy. You can save money, extend the life of your household items, help the environment and learn to fix things yourself. I brought some socks to fix once and now I can do them myself. It’s also a fun social environment. Where do you see Repair Café Toronto in five years? I imagine we might get so big we’ll need to have two. It’s really been growing the last four years. I hope it keeps growing. Repair Cafés all over the GTA are popping up and I hope to see more if there aren’t already. In five years I’m sure there will still be things breaking and in need of repair. What kinds of items do you fix? Why did you start to becoming interested in repairing things? Since my childhood, as both my parents were quite resourceful in many ways. I learned almost all my sewing and crafting skills from my mom. She was a great tailor. What does it mean to you to volunteer at the Repair Café? What is the most memorable (or fun, or challenging) item you have fixed? All items are fun to fix for me. As I said before it is a great place to socialize with similar minded people and to help people. I also like the idea of regaining broken items instead of just throwing them away, supporting the economy and helping to sustain the ecosystem is wonderful. Whoever has any skills or enthusiasm for the values mentioned, should join us. I believe it will spread more and benefit more people in the future. Jewellery and sometimes eyeglasses and watches. Miscellaneous jobs like gluing china or small jobs with metal. Toronto Reference Library. It is big, has lots of light and lots of space for people to sit. It also has a Balzac’s Coffee. I like all of the locations, the libraries especially. They have a lot of people flowing in and out. I started making pieces of jewellery and learned enough by making complex pieces to know how (and whether) to fix them myself. My Mother had broken items in her jewellery box. She would sigh and say “it’s broken” put it away and close the box. I liked the feeling of getting people wearing lovely things again, because jewellery is easy to break but very satisfying to fix. Knowing what to do as well as what not to do is important. I was cautious but often enough I could do something to fix it. Once you’ve had a success like that people are very happy. I learned from making jewellery. I learned lots about glue, I need to learn more about glue though, what to use, what not to use. I am now taking silversmithing to understand more about metals. The people who come into the Repair Café really want to wear the things they bring in. I get tons of hardware or “findings” as they call them. It feels so good to give it away and teach customers how to do it, so they can have the satisfaction of doing it themselves. At one point at the Reference library we had three customers working on their own stuff. A lady came in with 26 silver necklaces. She was small and nicely dressed with scarves up to her neck and a silk blouse. She asked me if I could fix her necklaces. I couldn’t see anything, but then she unwrapped her scarves. She had 26 silver necklaces on that looked like a thick garland. She told me she wore them for her health. Eight of them were broken in different ways and two of them needed a silversmith. I was able to repair six on the spot; for the other two, I explained how to do the repairs and where to find a person. She walked out with most of the necklaces in good shape and 2 needing more work. I told her she really should polish the necklaces, as when silver gets very black you start losing metal. After I polished the necklaces for her she said, “I like the effect, it looks good. It’s important to put things to use. Jewellery gives people great pleasure. It’s not essential to life, but people love it and have a strong emotional attachment to it. When jewellery is broken people feel unhappy every time they see it. Some of the repairs are quite simple. Where you see Repair Café Toronto in five years? I’d like to see more groups having Repair Cafés. If people knew in advance there was going to be a Repair Café more often and in their neighbourhood they’d be more likely to go. I’d like to see more people knowing and being taught how to do their own jewellery repairs. I mend clothes. Sometimes I use a machine, but I prefer to hand mend. I love patching jeans and darning holes in sweaters. I am a new volunteer at the Repair Café. I’ve been volunteering there since October 2016. Working at a church in a drop-in for people facing homelessness, addiction, mental health issues, etc. I learned mending skills by making blue jeans fit right, by being influenced by living in India and the Arctic, and by looking at mending posts on Pinterest! Toronto Reference Library, and the library at Broadview and Gerrard. I love mending because it saves the world one pair of blue jeans at a time, and it turns old clothes into works of art. And . . . people in other cultures have always known how to do this. To be a volunteer at the Repair Café means that we can share what we love doing with others. That’s satisfying. Why should people get involved with the Repair Café? Because everyone has gifts to share and we all benefit from recycling our “stuff” and building community at the same time. Having Repair Cafés in every library, as a normal place to hang out, have things fixed and build community.